The best method to select colors is to see actual tiles, like you will on a sample board. The colors you see on on our website are fairly close, but a computer screen is simply no match for the sheen and richness that you will see on a sample board. 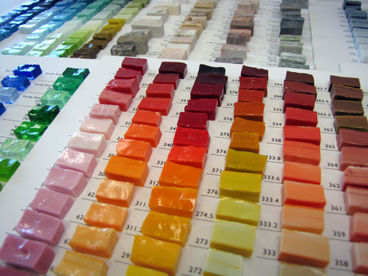 Choose your colors from a sample board for the tiles you need for your next project.